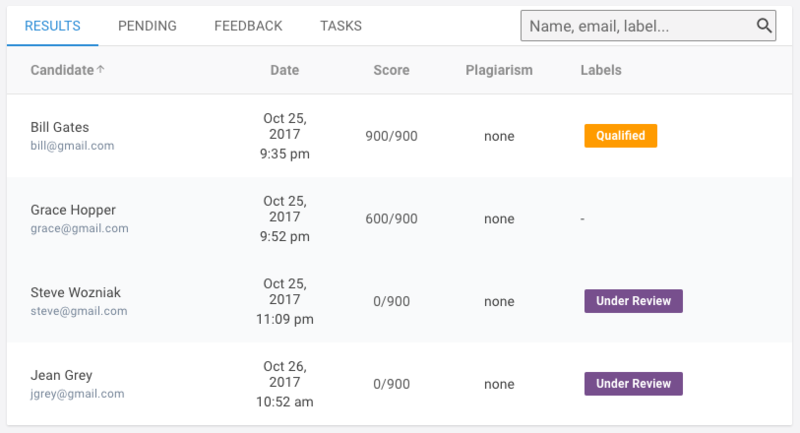 Categorizing your test results makes it easy for you to organize and manage them. To add a label to a candidate's test results, begin typing in the label field. You'll be able to choose an existing one or add a new category. The labels will show up next to the candidate's results summary. Use the search bar to filter by a specific label. 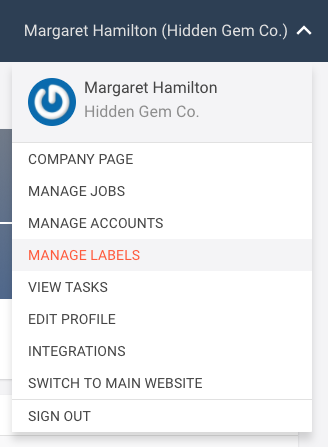 To manage your labels, select Manage Labels from your profile dropdown menu. To create a new label, click Create New. To edit a label's name or display color, click the pencil icon. To delete a label, click the trash can icon.